Lapeer West head coach Chuck Mahoney is one win away from an improbable regional championship after Monday’s blowout win over previously-unbeaten Grand Blanc. 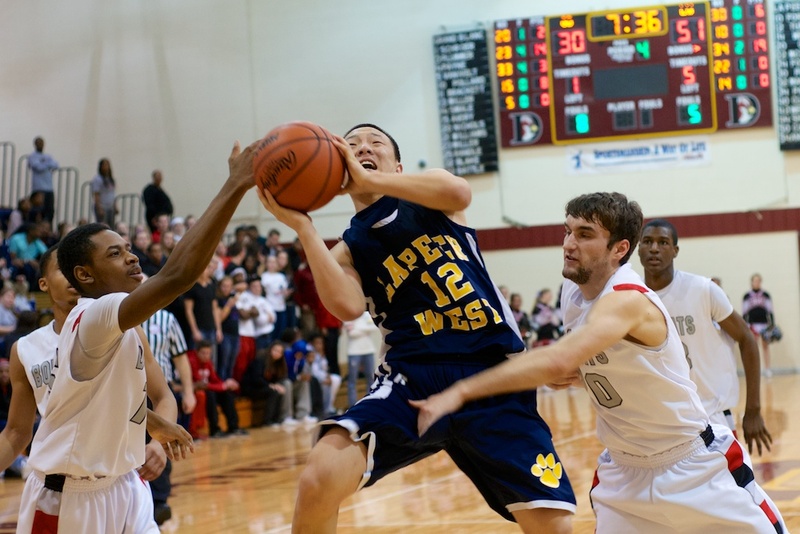 Lapeer West’s Cullen Turczyn drives for two of his game-high 27 points against Grand Blanc. DAVISON, Michigan — The only ‘L’ on the right side of the column for Grand Blanc (22-1) this season came courtesy of Lapeer. 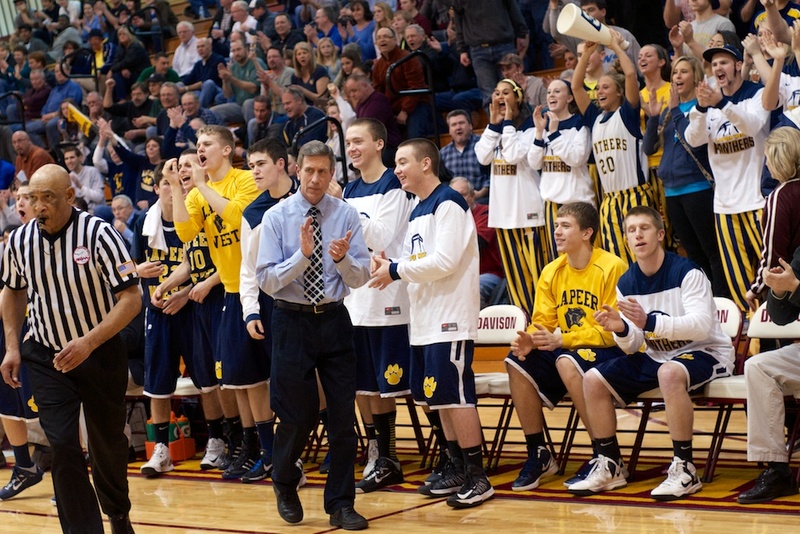 The Lapeer West boys’ varsity basketball team will continue its improbable run in the MHSAA state playoffs after the Panthers blew out undefeated and third-ranked Grand Blanc on Monday, 65-43. The Panthers started off a little slow, but it didn’t take long for senior guard Cullen Turczyn, the Flint Metro League’s all-time career scoring leader, to get heated up. Turcyzn scored 10 of the team’s first 12 points. West led by one after the first quarter before it was senior forward Zeshawn Jones-Parker’s turn to get involved in the scoring. Jones-Parker was a beast from that point on, scoring 19 points in three quarters despite foul trouble near the end of third quarter. West (19-5) led by 13 after two quarters, by 21 after three and cruised to victory. The Panthers await the winner of the Midland High and Saginaw game. Saginaw is currently ranked seventh in the state in class. Turczyn finished with a game-high 27 point. Junior Mark Cox played great defense, as always, and chipped in nine points.